It has been too long between blog posts. Blame the modern exam system! I'm working more days in school than I have for a few years and have three exam classes. Lots of mocks (or PPEs...pre-public examinations as we now call them in order to either a) give them gravitas or b) heap a load more pressure on the students by making the papers sound far more important than they are. Take your pick!) Either way it makes for heaps of marking! But I have news on the work front. I have recently been accepted on an MA course at Warwick University from October to study Writing. This is very daunting and exciting. It's my mid-life crisis I suppose. I looked around and realised I could stay the same for the next 15 years or I could screw up my eyes, hold my nose and jump in at the deep end! It's the first time in my adult life where I haven't really got a plan. I know I'm excited to have a reading list and I'm excited to study, but beyond that I have no idea whether it will take me anywhere or whether I'll end up returning to the chalk (whiteboard) face! And the chalk-face isn't all slog. Every year a new batch of students makes it worthwhile. It is a privilege to help young people to reach their potential and guide them to confident independence. It has been a real joy to get back in the saddle of teaching Literature A-Level. Having spent years running the amazing Language and Literature Combined A-Level, it has been refreshing to return to a revamped version of the more traditional qualification. One of the joys is the fact that it embraces modernity in some of its modules. My reading has certainly been more varied because of it. The "Immigration Literature" unit has Hamid's Reluctant Fundamentalist as its lead text and Lahiri's The Namesake as a comparison. Beyond that however, there is encouragement to read widely; to learn about the politics of immigration and its stories. So I have read A Very Short Introduction To American Immigration (well the introduction at least) and have its companion text A Very Short Introduction to International Immigration in my bag for reading over the Easter holidays. If you haven't discovered this delightful series of non-fiction texts, then pop to Oxford University Press to check them out. If you ever managed to read them all, you'd be a whizz at University Challenge. I really need to read all the ones I have collected so far (they look very attractive on the bookshelves you see), as my scores in the recent quarter-final episodes have been shameful! On the fiction front, I have completed John Updike's The Terrorist and Chimamanda Ngozi Adiche's Americanah. I have also re-read The Vanishing Act of Esme Lennox by Maggie O'Farrell, but that one has no link with the A-Level unit! 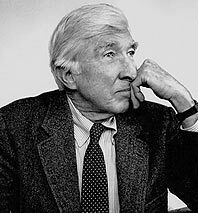 In my last post I indicated that I was enjoying John Updike. Having completed the novel, I'm not so convinced. A real boon to teaching this year has been a move away from the nerdy book club formed of English department staff (though we did have reunion last weekend and consumed a lot of cake!) to a new reading group of year 12 students where we discuss wider reading associated with the module. Together we managed to pan Updike's novel as a text far inferior to that of Mohsin Hamid. Whilst I freely admit that The Reluctant Fundamentalist is one of the most intelligent and cleverly conceived books I have ever read, Updike's postmodern take on the immigration question in a world post-9/11 was never much more than stereotype. Where Hamid challenges such preconceptions, Updike manages to reinforce them. His characters are either stock or unconvincing, and the plot, with the possible exception of the ending, was predictable. 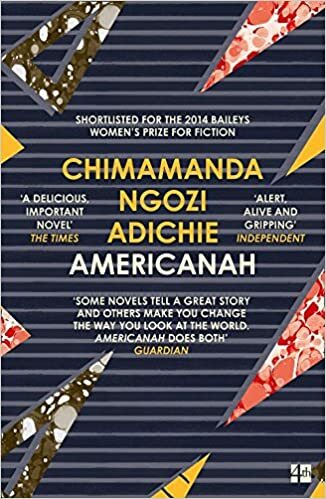 Americanah was a very different read and though not as gripping as Half of a Yellow Sun, it was a satisfying book. The immigration theme continues, but this time from a Nigerian perspective. The central character Ifemelu has grown up in Nigeria and moved to America for university. Like The Namesake, it conveys the difficulties of assimilation and through fiction, forces readers to confront their own subconscious bias. It is interesting that she states that it was only when she moved to America that she had any concept of race or being black. She discovered a hierarchy where she was not near the top, despite her education and abilities. She discovered that the American Dream was not all it promises. Once she had graduated, Ifemelu made a living from her writing, and her blog posts make up a significant element of Part 4 of the novel. Adiche uses them to make political comment that is sociological and contemporary. It is a voice for a significant minority that, despite the years since the civil rights movement began, have got used to not being heard. Parallel to the American story is a brief glimpse into life in the UK as an African immigrant. Obinze, Ifemelu's teenage boyfriend, comes to Britain to seek opportunity. He arrived as a successful, well-educated young man, but never once received acknowledgement of that. Any jobs he had were unskilled and there was little possibility of his achieving a long-term visa or British legality. The story ends back in Nigeria. Both Obinze and Ifemelu return to their homeland. Here the story becomes one of readjustment, of re-assimilation to the country of birth after experiencing Western culture. The literature of immigration is sociology through fiction. It demands something of its readers. It asks us to address our own preconceptions and, like Inua Ellams said, asks us to question whether it is ever right to label a human being as illegal. Fiction and the lives of well-drawn characters have the capacity to change the way people think. Reading is not a passive activity or a harmless hobby: it is an invitation to explore the lives of other people and a tool to help us make up our own minds about the world in which we live. Thank you for the challenge to take our brains on an explorative journey and our hearts to engage with anothers struggle. Enjoy your next chapter!